Who here cooks over the fire besides the usual dutch ovens?? 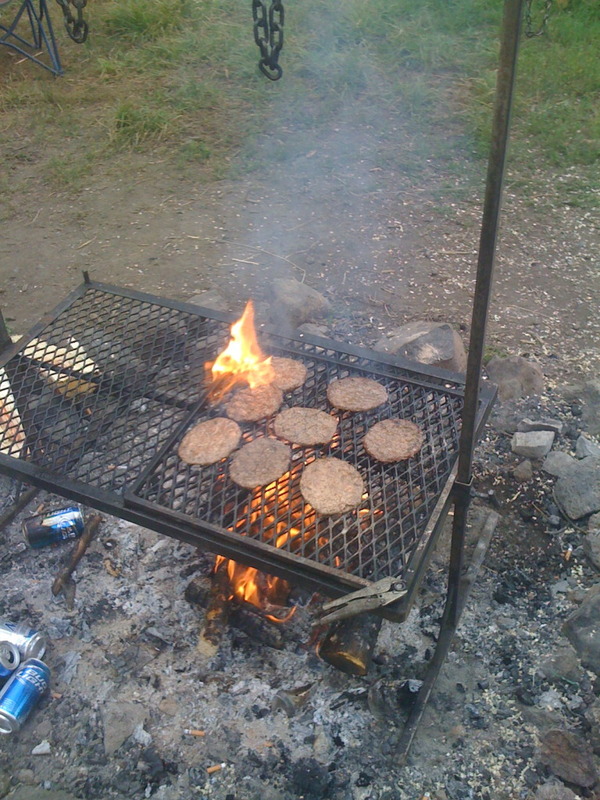 13 yrs ago I ordered a campfire cook unit from Cabelas. When it showed up all I could do was laugh. It was so small you could cook maybe 2 steaks on it. The steel.... or what they called steel....... was so thin a cig lighter would have melted it down like a beer can in the fire. So back it went and off to the the steel shop I went. Came back with a pile of steel and an idea in my head. 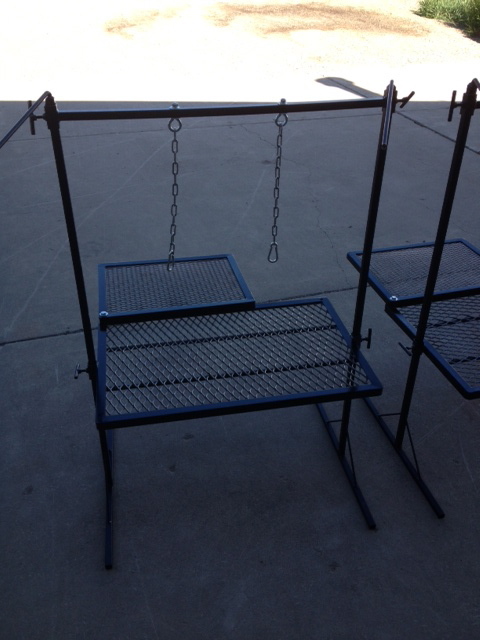 The main grate is raised expanded steel and the swing out grate is smooth expanded. The raised is stronger and can support a load of dutch ovens. It is great for steak, ribs, chops, etc and the smooth swing out rack is perfect for burgers, breads, or just a warming rack for beans or veggies, etc. Fully adjustable for height. The chains work great to hang a dutch oven on for all day simmer of stews or even a tasty briskit!!! The whole thing breaks down flat for easy transport by loosening the 4 wing nuts and sliding the legs out. Can't count the amount of meals which have been prepared on this. Even doubles as a handy clothes dryer rack lol. Over the yrs I have built probably 20 or more of these for friends, family, and local fundraisers for families in need or school sports raffles. Currently have 3 of them in fab process as I type this. 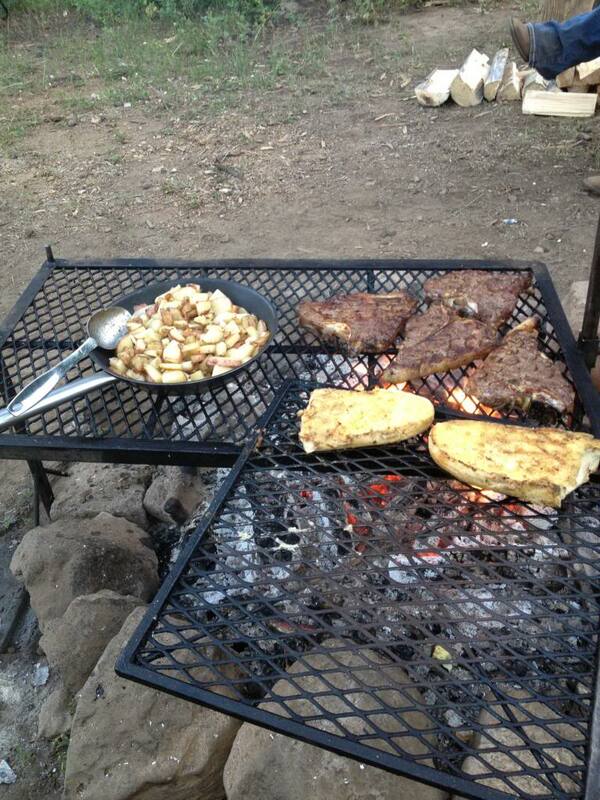 Food taste soooo much better cooked over a fire! Some pictures don't show up in my browser for some reason. 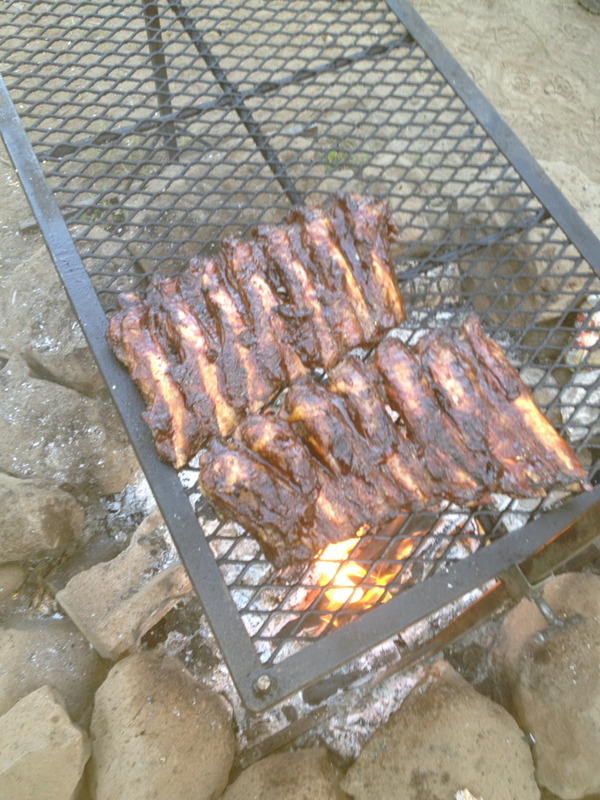 Oh, man those pics make me hungry! I'm in Wyo visiting son, and DH went back Ca to take care of ranch, and he usually does the BBQing.Do you sell that rig? All I have is an LP grill and would love to have a set up like that. Awesome! 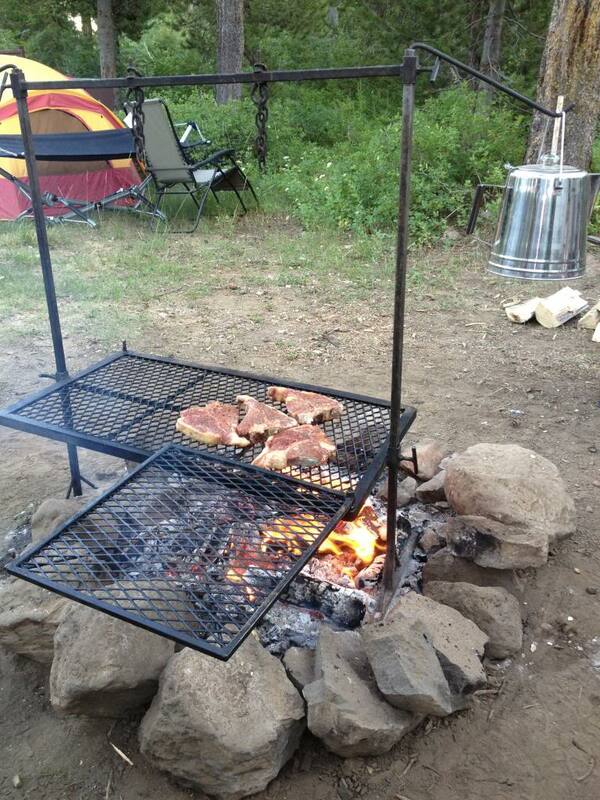 We love to cook over the fire too, nice setup. I too like cooking over a fire...however in our area lots of bone heads seem to think camp fires are trash burning barrels. I have gotten to the point I only use Dutch ovens with the campfire. Sad really. Your set up looks awesome!! !